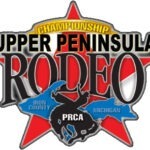 The first ever Upper Peninsula Rodeo was held August 10 & 11, 1968. At that time it was known as the “Iron River Area Championship Rodeo”. This event is still going strong today! 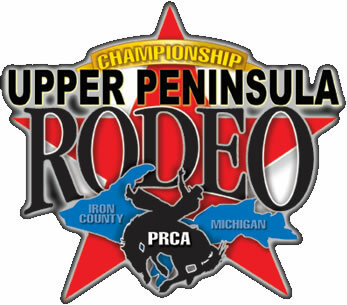 The Upper Peninsula Rodeo is within the Great Lakes Prorodeo Circuit and consists of Michigan, Wisconsin, Minnesota, Iowa, Missouri, Illinois, Kentucky, Indiana, and Ohio. The Circuit System divides the United States into 12 geographic regions, or circuits. Some, such as the Texas Circuit, consist of just one state. Most however, are composed of several states. The First Frontier Circuit, for instance, consists of 13 states. Every PRCA cowboy declares a home circuit at the start of each year, usually the circuit in which he lives. Each time a cowboy places at a rodeo within his circuit, the money he earns is applied toward his circuit standings. Of course, PRCA cowboys may compete in rodeos outside their home circuits, but points earned at those rodeos aren’t counted in his circuit standings. They do, however, count in the world standings. The PRCA season ends in October and, soon after, each circuit conducts a year-end finals rodeo. Winners of the finals, as well as standings leaders from each circuit, are invited to compete in March at the Dodge National Circuit Finals Rodeo in Pocatello, Idaho.